It’s been a topsy-turvy year for investors in the dry bulk shipping sector in 2018. But if you ask the analysts at JPMorgan, things are about to get a whole lot better for at least one of the leaders in this troubled sector. This morning, analysts at the investment megabanker announced they’re upgrading shares of Monaco-based Navios Maritime Partners (NYSE:NMM) to overweight, an improvement over its previous neutral rating. At a market valuation of just $288 million today, with $41 million in cash in the bank, and long-term debt under $495 million, Navios is a stock with relatively “low leverage,” argues JPMorgan in a note covered by TheFly.com. By way of comparison, though, it’s worth pointing out that Star Bulk Carriers (NASDAQ:SBLK) — a dry bulk shipper that JPMorgan actually prefers to Navios — carries a $1.2 billion market cap but less than $800 million in net debt. DryShips (NASDAQ:DRYS), probably the most famous name in the industry, has a market cap around $480 million and a bit less than $300 million in net debt. And Genco Shipping & Trading (NYSE:GNK), which was upgraded by Deutsche Bank earlier this year, boasts a $500 million-plus market cap — but less than $200 million in net debt. So although it’s true that Navios Maritime carries far from the largest debt load in the industry, I find it hard to agree with JPMorgan’s argument that Navios’s leverage is sufficiently “low” to set it very far ahead of the pack. Reviewing trends in the Baltic Dry Index over the past year, we find the index sitting at a recent high of 1,578 today. That’s comfortably above the index’s historic baseline of 1,000. It’s even farther above the BDI’s recent nadir of 944 hit back in April (but also below the even-more-recent apex of 1,770 set in July). 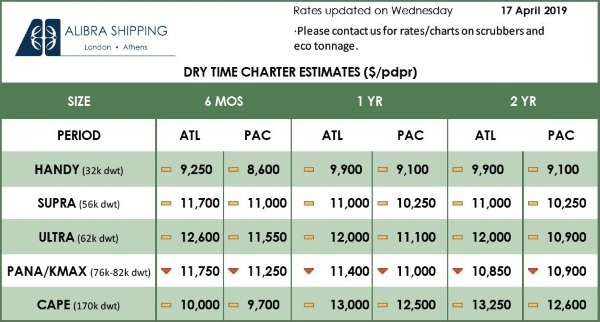 Depending on when Navios set its charter rates, therefore, having “relatively high charter coverage” could be either good or bad for Navios — and I’d argue it’s more likely bad than good, given that (a) the BDI spent most of the past year below today’s 1,578 level, and (b) the index is currently in an upswing, implying that future rates could be higher than rates secured by charter in the recent past. 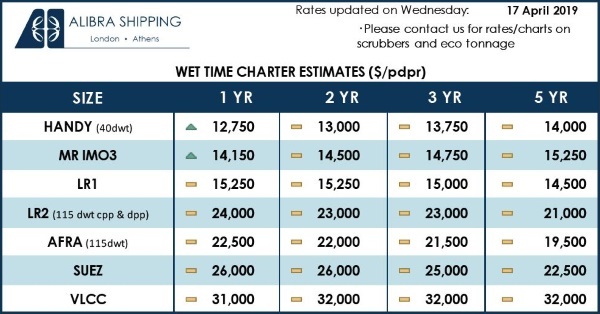 As for JPMorgan’s characterizing Navios’ exposure to the containership market as a positive, I note that recent container shipping rates for 8500 TEU vessels, for example, as quoted by Ycharts, sit well below their April high of $22,500, and are closer to $12,500 (and trending down) today. That doesn’t promise to offset weakness in dry bulk rates, should they relapse to new lows. At the same time, container operations account for less than 6% of Navios’ annual revenue stream, according to data from S&P Global Market Intelligence — which probably isn’t enough to move the needle significantly, up or down, for Navios. So what’s the upshot of all this for investors? Given the trends we’re seeing, and given that Navios’ leverage doesn’t look significantly less dangerous for Navios than for anyone else in this capital-intensive (and mostly money-losing) segment of the stock market, I honestly don’t see much reason for JPMorgan to be upgrading Navios stock today. In fact, I’m a whole lot more optimistic about Star Bulk Carriers, which is the stock that JPMorgan says is actually its “top pick” in the sector. With a P/E ratio of 22.9, Star Bulk isn’t cheap, but at least the company is profitable — which is more than I can say for Genco, DryShips, or Navios Maritime. Star Bulk also boasts a market cap significantly higher than its net debt load. And Star Bulk is even closer to breaking even on free cash flow (negative free cash flow of $21 million over the past 12 months) than Navios is (FCF of negative $124 million), which means Star Bulk is closer to the point at which it will be able to begin paying down its debt. Given the alternatives, if you’re dead set on investing in this sector, I’d say you’re best advised to go with JPMorgan’s top pick — Star Bulk — and leave Navios Maritime stock alone.